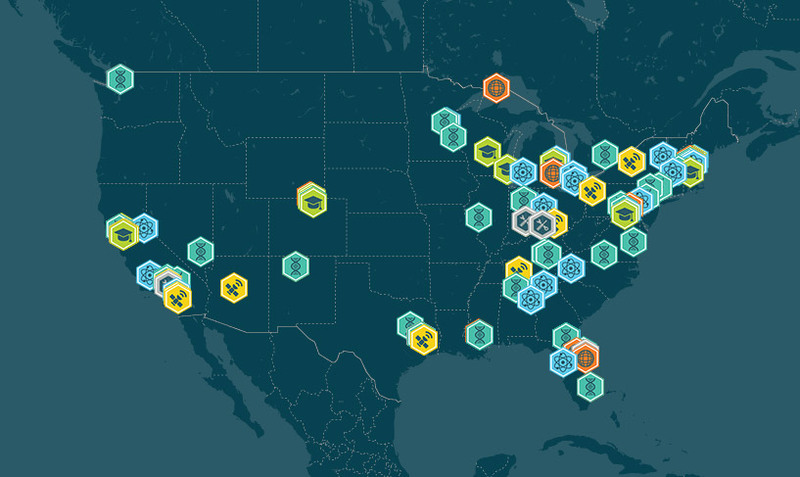 The ISS National Lab community involves researchers, service providers, sponsors and investors, and experienced education partners. Multiple events and new digital tools in FY18 enhanced communication among and feedback from these diverse groups. Iterative feedback is improving tools and processes that support an evolving landscape of LEO activity. The ISS National Lab is a public-private partnership that leverages investment and unique space access to facilitate growth of the LEO economy. Many organizations within the spaceflight R&D ecosystem—such as service providers, investors, and the research community—depend on ISS National Lab functions and tools for their activities and growth, so it is important to refine these tools to foster community success. In FY18, these refinements included innovating solutions for digital community interaction and continuing to streamline the timeliness of project selection and development. As access to LEO and the ISS has increased, new private-sector service providers and facility operators have emerged to support the needs of diverse spaceflight R&D users. In January 2012, we began formalizing partnerships with these businesses and are continuing to improve how we facilitate the matching of ISS National Lab users with these service providers, also called Implementation Partners. An online portal for ISS National Lab Implementation Partners was created this year and hosts information about potential users and their spaceflight R&D project needs, allowing providers to ask questions, submit quotes and proposals, and work together with users. This interactive platform allows for feedback at regular intervals and will continue to evolve to provide additional value to the LEO ecosystem. 70% of ISS National Lab grant funding went directly to businesses providing support services to lab users in FY18. These services are essential to implementing R&D projects onboard the ISS. Providers also had the opportunity to attend two ISS National Lab Implementation Partner workshops, hosted to encourage dialogue and feedback about how we connect users with providers and how we can better enable provider business development activities in the marketplace. Workshop sessions focused on the ISS National Lab Resource Utilization Planning System and professional development in sales and marketing. Execution of complex R&D projects can be capital intensive. Traditionally, government funding has dominated LEO R&D investment; however, we have seen improved potential in recent years to engage additional resources. To increase the probability for commercially successful R&D in LEO, we partner with sponsor organizations and accelerator programs, while also expanding our reach in the corporate and accredited investor community to potentially infuse new capital into this growing ecosystem. During FY18, the ISS National Lab investor network nearly doubled in membership, expanding to 118 participants. $150M+ in external, non-NASA money supports the ISS National Lab portfolio—committed over the past 5 years and representing more than double our seed funding from NASA during that time. Now in its third year, we held the ISS National Lab start-up pitch event “Space Investment 2018” in conjunction with the ISS Research and Development (ISSR&D) Conference in San Francisco in July. The well-attended event brought together venture capitalists and corporate investors with innovators and entrepreneurs. Presentations focused on multifaceted investment opportunities in the rapidly expanding satellite sector as well as space-based biotechnology, materials science, and technology development areas. We also launched a new online Investment Portal during the ISSR&D Conference. The Investment Portal is a free tool to facilitate dialogue between entrepreneurs and investors focused on commercial opportunities that emerge in the NewSpace and ISS ecosystems. By the end of FY18, the portal included 15 investment opportunities and had resulted in multiple capital introductions. 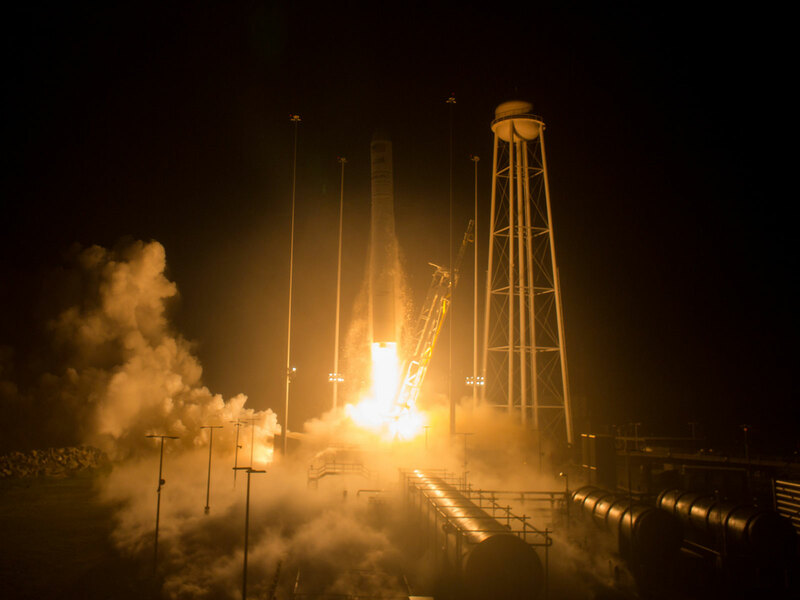 The time it takes ISS National Lab projects to transition from concept to award continues to shorten, adding innovative new users more rapidly to a growing portfolio. 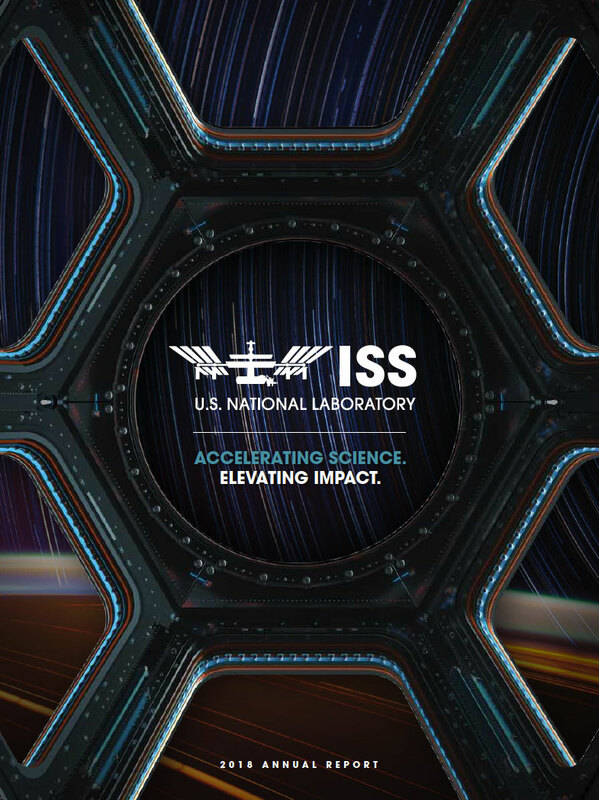 Having an efficient, repeatable, and documented proposal development, evaluation, and selection process establishes expectations with customers, improves stewardship of funding, and allows the ISS National Lab to more efficiently manage an increasing number of projects. Since 2016, the time it takes for a project to progress from concept to award has decreased by 50%. 2M+ people were reached through Space Station Explorers in FY18—almost double the reach from the last 5 years of ISS National Lab STEM outreach combined. Additionally, to better streamline use of specific resources, the ISS National Lab Resource Utilization Planning System (RUPS) enables optimal use of flight, increment, and facility allocation. RUPS continues to improve in its function to compare the capability of each resource during a given timeframe against the total resources required by the projects planned during that time—and we continue to refine how we use this information to guide business development efforts toward acquiring projects that fill utilization gaps. Using RUPS, we can adjust our business development targets in real time as research requirements mature, facility options evolve, and the payload manifest grows. A range of educational outreach activities are supported and promoted through Space Station Explorers, a consortium of organizations that make science, technology, engineering, and mathematics (STEM) learning exciting through programs and products related to the ISS National Lab. A record number of participants attended the 2018 Space Station Explorers Annual Meeting to discuss topics including program integration, marketing, and fundraising. The event builds cohesion among consortium members, helping shape the future of ISS National Lab education initiatives. Near-term actions included working groups to build cross-program partnerships and scale visibility, new collaborative proposals by program teams, and a new agreement with NSF to promote educational uses of the ISS.